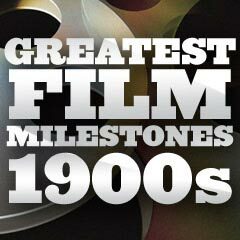 1908 Nine leading film producers or manufacturers (including Biograph that had joined forces with Edison) set up the Motion Picture Patents Company (MPPC), a.k.a. "the Trust" or "Edison Trust," in December of 1908. Members included Pathè, Edison and Biograph. It was an attempt to legally monopolize production in the burgeoning American film industry. The organization was devoted to protecting patents and keeping other players from entering the film industry. Ten producers were granted licenses to use equipment authorized by the Trust, while everyone else was ruled to be running illegal film production operations. The trust formed a subsidiary called the General Film Company in 1910 to use intimidation and violence (with threats of not selling or leasing licensed equipment) against independents or any other distributors who purchased and showed motion pictures from any other company. Kodak agreed to sell film stock only to member companies. Eventually, the courts later found the organization to be an unfair monopoly, and in 1918, the Supreme Court dissolved the Trust. 1908 There were over 8,000 movie theaters (nickelodeons) throughout the US. 1908 To protect the rights of nickelodeon movie projectionists, a union was formed (the first in the film industry) - the Motion Picture Machine Operators (MPMO). 1908 Future influential director D.W. Griffith began directing films at Biograph. Griffith's first directed one-reel film was The Adventures of Dollie (1908), a story of a young child kidnapped and in peril. 1908 was the year that actor Griffith started to direct films at American Mutoscope and Biograph Company in New York City. The film was made on-location away from the studio, giving Griffith the start of his freedom to experiment and position himself as a shaper of film technique. It was released and debuted in New York. Soon after, Griffith became the studio's main producer-director during the next five years (until 1913), and his entire output at Biograph during that time numbered about 450 short one-reel films, showcasing many innovative techniques (cross-cutting, an increased number of shots, etc.). 1908 Shakespearean plays were an easy source for film adaptations, so a number of short silent films with Shakespearean roots appeared, mostly from the Vitagraph Company of America: director J. Stuart Blackton's short drama Romeo and Juliet (1908), A Comedy of Errors (1908), Othello (1908) and Macbeth (1908) - to name a few. 1908 Silent film actress Florence Lawrence (later known as "The First Movie Star") was offered $25/week by director D.W. Griffith at Biograph, and she accepted (she had been working for Vitagraph for $20/week). She played the starring role in his action-western film The Girl and the Outlaw (1908). 1908 The 8-minute UK short film A Visit to the Seaside (aka A Visit to the Seaside at Brighton Beach, England) (1908, UK), directed by George Albert Smith, was the first commercially-produced film in natural color - using the revolutionary Kinemacolor process (a two-color additive process) invented by Smith himself. It was first exhibited in 1908, then shown publically in 1909 in London, and later released in the US in late 1910. 1908 The first real horror film, William Selig's 16-minute Dr. Jekyll & Mr. Hyde (1908), was premiered in Chicago. 1908 French director and caricaturist Emile Cohl's animated short film Fantasmagorie (1908, Fr.) (from the French studio Gaumont) was considered the first fully animated cartoon film. About a minute in length, it consisted solely of about 700 simple line drawings (of a clown-like stick figure) that blended, transformed or fluidly morphed from one image into another. 1908 The first film for which a totally-original film score was specifically composed was for the silent film The Assassination of the Duke de Guise (aka L'Assassinat du duc de Guise) (1908), by classical composer Camille de Saint-Saëns.